Following the success of Nickelodeon Resort Punta Cana, Karisma Hotels and the Nickelodeon brand have taken on a new hotel project with Nickelodeon Riviera Maya. 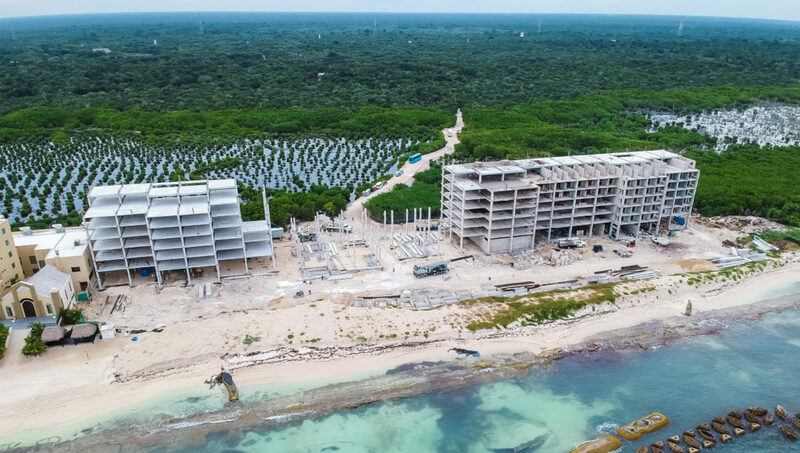 Construction is already in full force just north of Generations Riviera Maya. Although details are still not finalized, we are anticipating this property to have 288 suites, a “Nickelodeon Place” entertainment hub, a “Just Kiddin” area will serve as a hangout for children and a “Character Central” location is where guests will be able to meet Nickelodeon characters like Dora, Sponge Bob, Teenage Mutant Ninja Turtles and more. The location is also expected to have a first class spa for adults and kids alike. The resort will be all inclusive and include 6 gourmet restaurants, 4 bars and lounges and a food truck. 2 restaurants will be set oceanfront. As with many of Karisma’s properties, their dedication to the environment is constant. With a commitment to be 100% sustainable by the end of 2018, not only will the power be provided completely thru solar energy, but the food that will be served will mostly arrive from Karisma’s 75,000 square foot greenhouse next door for a farm-to-table experience. This entry was posted in Caribbean & Mexico Travel and tagged Cancun, Generations Riviera Maya, Karisma Hotels and Resorts, Lomas, Nickelodeon, Nickelodeon Riviera Maya, Riviera Maya, Travel. Bookmark the permalink.